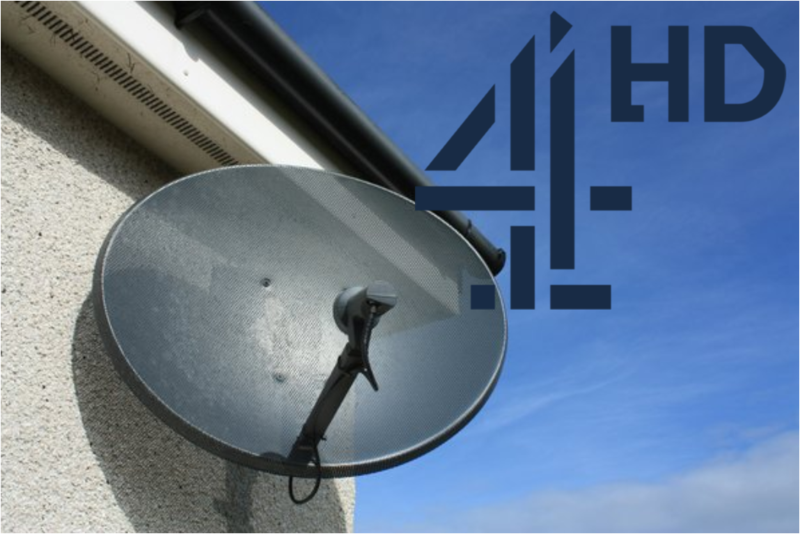 Channel 4 has carried out its withdrawal of HD and on-demand services from Freesat, in the middle of a reshuffle of some of its services on satellite. At 1300 GMT on 22nd February 2018, Channel 4 carried out its threat to remove services with the withdrawal of Channel 4 HD and All4, although some Freesat boxes that don't automatically update or only update overnight were still able to access 4HD for a little while longer. The Box Plus Network on the move? The joint venture between Channel 4 and Bauer Media has been spotted broadcasting test transmissions on satellite, indicating behind the scenes changes. South Asian channel Zee TV is to finally launch in HD on Sky channel 788 on 1st March 2018 for Sky HD subscribers. It's been a long time coming - Zee TV has been broadcasting its German channel in HD since 2016... Meanwhile Sky has confirmed that &TV HD has been permanently removed from its EPG. The move is to provide satellite bandwidth for the new Zee TV HD channel. Germany's digital terrestrial TV provider Freenet has confirmed it will be launching its service via the Astra 1 satellite cluster in late March, giving satellite viewers the opportunity to watch the same linear and streamed channels that can currently be accessed in some regions via an aerial. The service will be of particular interest to those who live outside of Freenet's service area, which will never be expanded to cover the entire country. Despite the name, Freenet actually costs €5.75 a month, and is yet another way for viewers to receive HD versions of so-called "free TV" stations, which are encrypted on all platforms. In addition to gaining access to these channels, viewers using a new Freenet satellite receiver will also gain the existing free-to-air channels on the Astra 1 satellite cluster, plus additional online services. San Marino - the microstate with a population of just over 33,000 - has launched its main entertainment channel in HD via the Hot Bird satellite at 13E. Surrounded by Italy, the free-to-air HD channel is targeting viewers with Sky Italia or Tivusat and anyone in San Marino's hilly terrain who can't receive the terrestrial version of the channel. Bavaria's chain of local TV channels will cease standard definition broadcasts at 19.2E in April, according to an announcement this week by Bavaria's media regulator BLM . It follows a six month transition from SD to HD. Channels affected include München TV, the local channel for Munich. Turkish satellite operator Türksat has confirmed it will be initiating a switch to HD. All SD services currently broadcast on its satellites at 42E will be required to switch to MPEG4/HD, although the timeframe for the changes is unclear. The move will make any SD-only satellite receivers aimed at 42E obsolete. The satellite company says it will make the cost of bandwidth cheaper, in a move to mitigate the cost for broadcasters switching from SD to HD. Türksat's western beam makes reception of services possible across most of Europe, including the UK.